true story #2 – c16 has a presentation to give in his model united nations class – his topic is the fifth united nation millennium development goal – maternal health. he asks michael to be a “guest speaker”. michael breaks the ice with this gem, “hi, i’m c16’s dad. obviously i’m where he gets his good looks from. and girls, if you’re interested in him, 25 years from now, it’s possible he’ll look a lot like this.” and gestures to himself. i think he might be losing his cool dad rep. 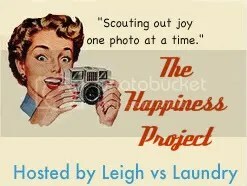 This entry was posted in happiness project, michael. Bookmark the permalink. Mortifying for the kids, hilarious for the adults. If I could, I’d fist bump that man. yeah, he frequently deserves a fist bump or two!